Since the very beginning, we strived to make Buddy as intuitive as possible. We’ve come a long way since the beginnings (who remembers this? ), but we never lost sight of our core values: simplicity and ease of use. However, with every new feature added, the current layout of options was getting more and more cluttered. This was especially true for build actions that lived long enough to receive a special treatment that we cover below. Here are the problems that we’ve solved. Please mind that all ENV VARs added there are pipeline level variables. Click here to learn more about using variables in Buddy. 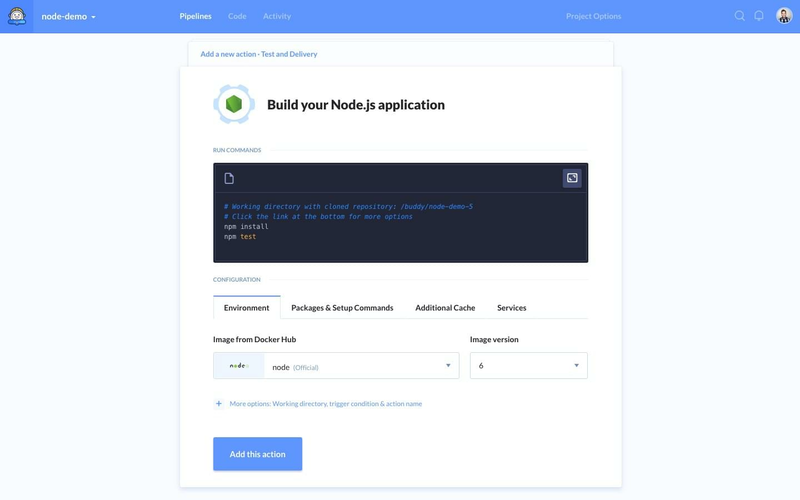 Buddy is based on Docker containers which are essentially predefined Linux environments in which you run build commands. 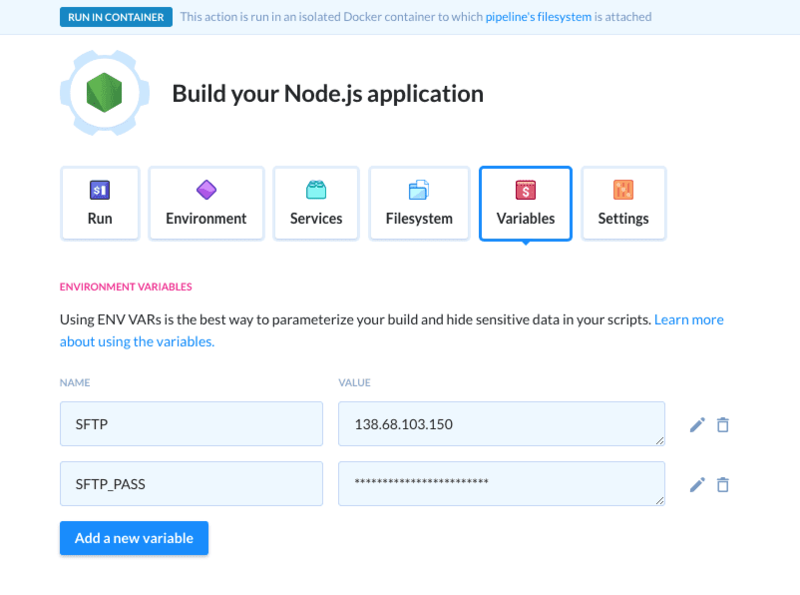 This means that if you want to, for example, change the PHP version of your app, you simply switch the Docker image to a different number. Similarly, if your build is missing a dependency, you can install it in the dedicated field. Originally, those two features were separated into two different tabs, with the build commands always visible at the top. 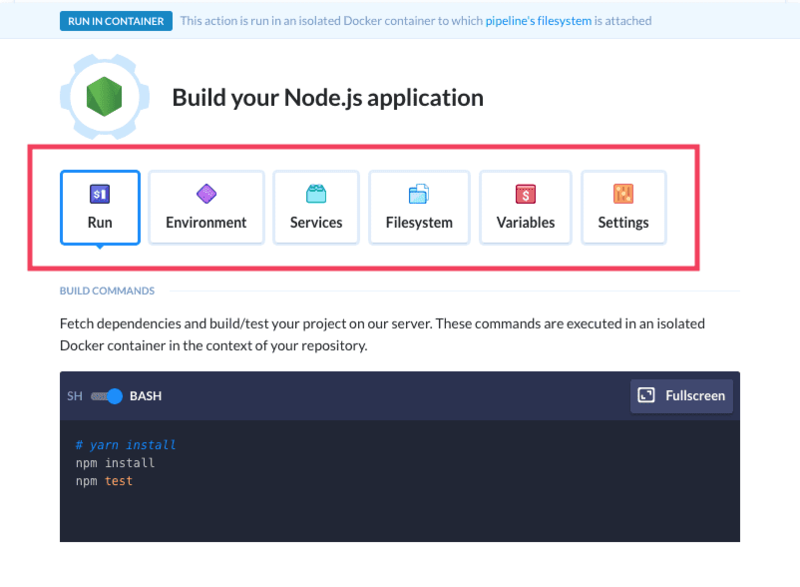 This was causing some confusion among developers, who were trying to install dependencies in the build commands window, or thought that Buddy requires a custom Docker image to work. 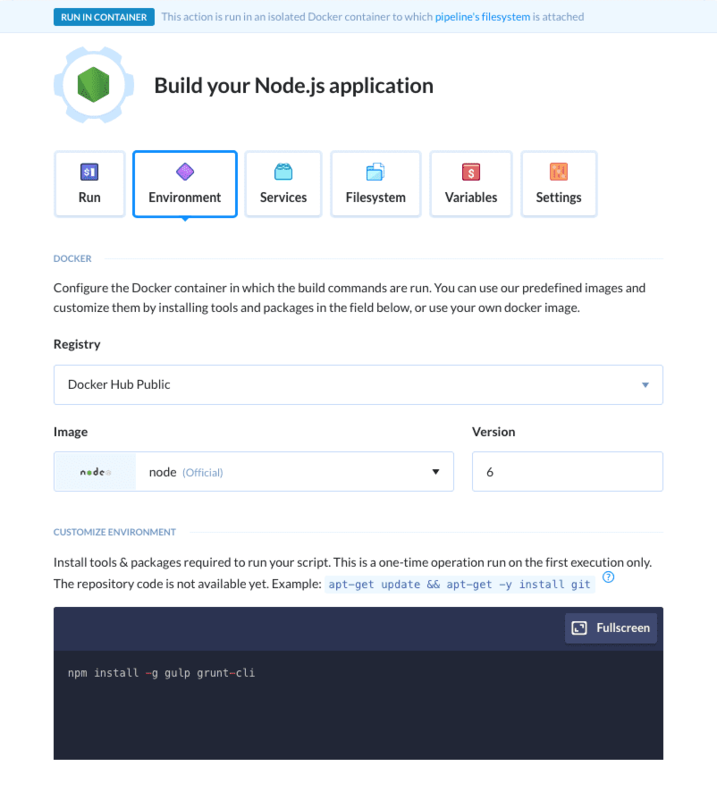 At the moment, only the builds and the ‘Run Docker container’ action have been overhauled. However, with time we are going to improve the rest of the actions as well. Feel free to share your feedback what we should do in the first place either here in the comments, or directly at support@buddy.works.